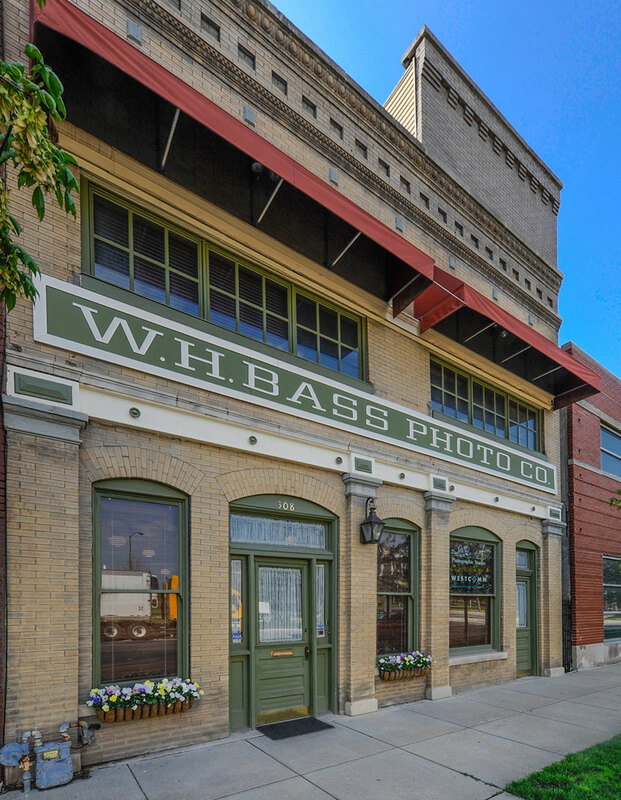 History Of Bass Photo Company founded in 1897 | Bass Photo Co.
Bass Photo Company was started in 1897 by two photographers named Woodworth and Bayne as a branch of the James Bayne Photography Co. of Grand Rapids. Six months later, William Bass bought the company and named it W.H. Bass Photo Company, specializing in commercial and industrial photography. He was an instructor in manual trades at Emmerich Manual High School. 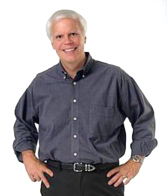 Charles Branson joined the firm in 1899 and became a photographer, artist, and retouch expert. He became the manager in 1904 and was named president and manager in 1922. W.H. Bass Photo Company was incorporated in 1912, with William H. Bass and Charles Branson working closely together for many years until Mr. Bass died in 1936. Charles Branson's daughter, Margaret, married Ted Abel, a graduate in accounting from Notre Dame, who was employed by Bass Photo in 1939. He became president and owner of Bass Photo when Charles died in 1948. Ted "T.J." Abel operated Bass Photo company until 1982, and was joined by sons Fred Abel from 1967 until 1982, and Gerald Abel in 1977, who in 1982 became the current president and chief photographer. Both sons are graduates of the Rochester Institute of Technology in Photography. Kathy Abel, Gerald's wife and business partner, is the current Studio Manager. Bass Photo Company survived the Great Depression and many other fluctuations in the economy as a result of the leaders' initiative to make timely and necessary changes. Bass Photo began in the furniture photography business with 8x10 glass negatives, added photographs of interiors and exteriors of businesses and homes, photographs of the automobile industry, and continued with a wide variety of industrial, catalog and corporate photography and lab services. In 1996 Bass Photo jumped on the digital photography bandwagon, knowing it was here to stay. We have converted to digital technology in every area. Our extensive digital imaging skills have escorted centennial Bass Photo Company solidly into the high-tech 21st century. There has been a long history of Bass Photo photographers, lab workers, artists, and office personnel for over 100 years who have helped make this company an important addition to the downtown Indianapolis community. We often say "If these walls could talk"! We have included a few historic photographs to give a "flavor" of Bass Photo Co. The Indiana Historical Society has produced a coffee-table book about Bass Photo Company with 200 or so of the Bass Photo Collection Photographs, which have been owned by the Indiana Historical Society Library since 1986. They have done a wonderful job of protecting the 200,000+ negatives and 20,000+ prints of Bass Photo commercial photography, primarily of downtown Indianapolis, and making them available to the public either in the Indiana Historical Society Library or now on their website. They own the rights to make prints from these negatives, with the agreement that Bass Photo Company forever be given credit with a by-line. The management of Bass Photo was conscientious in cataloging each negative with a specific number, which was painted on the bottom left of each negative. This has made the Bass Photo Collection historically correct, with an exact date and description of each photograph. Please feel free to browse the amazing Bass Photo Collection by selecting the Indiana Historical Society Library link .